Locations on the screen where your logo or ads can appear, with one of the possible locations of the monthly calendar layer. Photographer: Damir Nehyba; Model: Ljupka Gojic; Client: Self Promo. Promotional calendars offer the lowest cost per advertisement viewing of any promotional product as promotional calendars are seen an average of 10 times per day—every day throughout the year. A recent study by the Promotional Product Association (PPAI) found that 94% of people can recall the advertising message. Your ad on users desktop! Promotional calendars are useful, appreciated and cost-effective. They have a measurable impact with a high perceived value, and can easily be used to complement other advertising media. This is especially true in case of ePix which is actually a fully functional software package normally sold at $10-25 depending on included images. Create and Distribute Your Calendar! It's Easy and We're Here to Help! The procedure is simple. Basically, you have to select 3-12 of your images for the calendar, decide how long do you intend to distribute it, and let us know about it! ePix is actually PERPETUAL calendar. 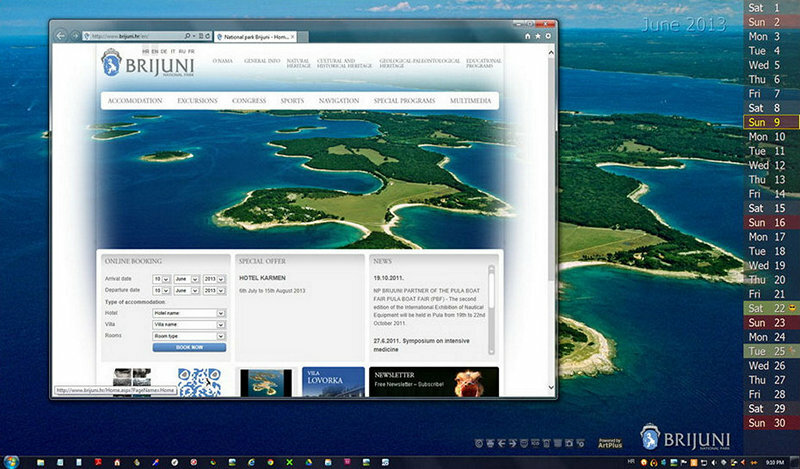 Once installed, the user will see it on the desktop until it's uninstalled. Distribution campaign duration stands for the period you will be allowed to offer it for download. Generous Software Distribution License will allow you to give it away as a promotional gift or sell it for your own profit. Our agent can help you set up the sales channel too. You'll pay only if you're satisfied with results! We'll do our best to create a cool product for you. If we fail, you'll simply cancel the order, no questions asked (Except for the $10 non-refundable fee which is here to protect us from bogus orders). If your clients could benefit from promotional calendar distribution or some mobile apps built around your photography, let us know! We offer VERY stimulative Partnership options! Just send us a note about your interest and make sure to include the website link where we can learn more about your work. Our representative will get back to you shortly to discuss options. Please contact us via email promo17@artplussoftware.com to discuss your needs, without any obligation!